Why am I a Christian today? Luther’s Small Catechism from the Third Article of the Creed answers this one for me. This is how I understand the theology behind this. 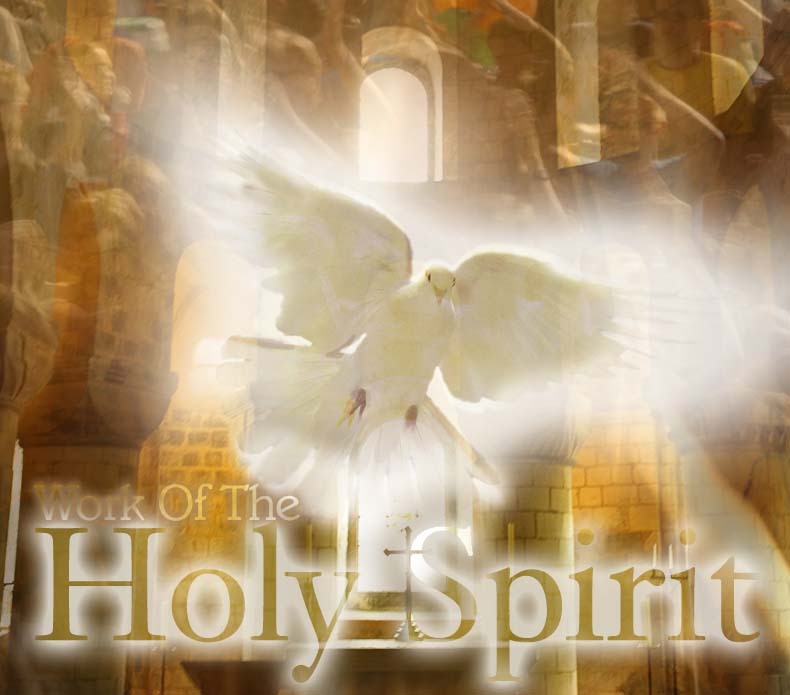 The Holy Spirit unites me to Christ independent of any cooperation from my unrenewed human nature. This means that only God can illuminate my understanding of his word so that I can believe. It is only God who enables me to see God’s excellence and unsurpassing beauty. Due to my human nature, it is impossible for me to come to Christ on my own, no matter how hard I may try. My own hardened resistance and stubbornness wants to do everything on my own without God; but it is only by the power of the Holy Spirit who regenerates me so that I am born again. Do you believe you came to Christ on your own power? Why are you a Christian today? Recently, Peter Kirk has stepped-up his blogging at Gentle Wisdom about charismatic issues, particularly about Todd Bentley’s ministry; and John Hobbins and David Ker have also blogged a bit about charismatic issues. Perhaps this was sparked by Pentecost Sunday. I’m glad someone is blogging about what is going on around the charismatic world. Apparently, there is a spiritual revival happening at Lakeland, Florida with Todd Bentley’s ministry, and also in Dudley, England. I’m not familiar with what’s been going on in Dudley, England and Brownsville at Pensacola, Florida, but I have personally been a part of the Toronto Blessing at the Toronto Airport Christian Fellowship. I have also heard Todd Bentley speak and experienced his ministry two times. The charismatic movement has been gaining momentum and is roaring full steam ahead in the world and is making an impact for God’s kingdom. There is a definite spiritual revival. God’s Spirit is leading many people to Christ and into a deeper relationship with Christ. I recall my own experience with God the Holy Spirit. It was at summer camp at a Pentecostal church during my teenage years when I felt the fire of God flow through me. It was nothing like I had ever experienced before. I felt completely flooded with a joy. As a teenager, I felt for the first time, God’s holiness and my own human sinfulness, both at the same time. It was then that I realized how much of a sinner I was and how much Jesus loved me and how much I needed God’s forgiveness. The bible suddenly became a living reality to me and I no longer read it as a dry history book. I began to devour the word of God and read it with a passion and an understanding that the bible was the inspired word of God. I think this is where I got my passion for God’s word, even today. When I look back, I can say that it was a life changing experience because my faith was much stronger as a result of the infilling of God’s Spirit. The fruits resulting from this baptism by fire were life changing for me. I was transformed into a teenager who had doubts about God’s reality into one who was unashamedly a Christ-follower. All though I am a charismatic, I am not a follower of the prosperity gospel. I do feel that there is error in this prosperity teaching. Some Christians get blinded by the teaching that God only brings prosperity and that persecution is somehow ungodly and unspiritual. This is a wrong understanding of prosperity and blessing. I believe that God has promised believers blessings but I believe it is blessings of a different type. God’s blessing is an inner blessing, as well as, an external blessing. God’s blessings also come in the midst of happiness and adversity. God’s blessings also come in the midst of joy and persecution for keeping one’s faith in Christ. The early church would have understood this very intimately. The church in revival in Asia and Africa understands God’s blessings but Christians there also understand how it feels to be tortured, ridiculed, and treated unjustly for their faith in Christ. In spite of some false understanding and theology in the charismatic movement, there is a great moving of the Holy Spirit around the world that is unprecedented. 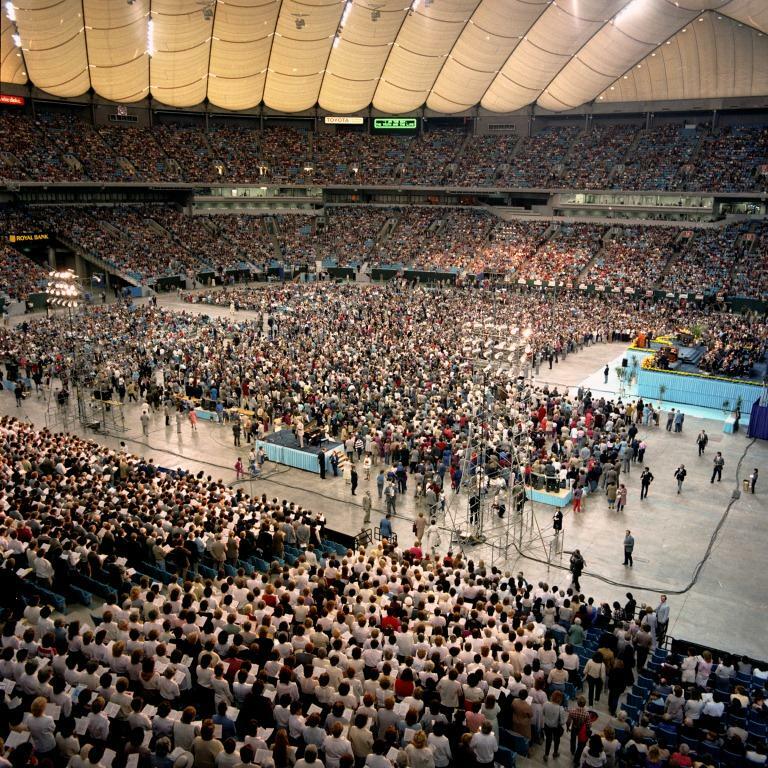 Millions more are being drawn to Christ through the calling of God’s Holy Spirit. The charisms (gifts) of Holy Spirit are being given to believers to edify, strengthen, and bring healing to believers. It is for the extension of the reign of God on earth. I have wanted to share this aspect of my Christian life publicly on this blog for a long time but did not know how to approach this. I want to thank other biblical bloggers who have blogged about this subject. It has motivated me to make this a more public part of my life. On a pastoral note, I wish to blog about law and gospel. Our biblical and civil laws call us to live holy lives, as separate from the world’s standards of righteousness. The gospel of Jesus tells us that “Christ is the end of the law so that there may be righteousness for everyone who believes” (Romans 10:4). As sanctified Christians, we are called by the Lord Jesus and given the gift of the Holy Spirit so that we can live righteous lives. But what does it mean to be sanctified? The word for sanctify or sanctification is not much heard these days but it means we are to be “separate”, “to set apart”, or “a being set apart”. We, as Christians, are called out of this sin-filled world to be God’s children forgiven by God. A godly life is the trait of genuine Christian behaviour. So how do we live godly and sanctified lives as Christians? Often we try to force others, and even ourselves, to live by God’s law in our civil realm. This may work to a certain extent but it is not the way we are called to live out our Christian faith. Our laws, though established by God, calls us to live righteously in the civil realm (left-hand kingdom), rather than in the spiritual realm (right-hand kingdom). Luther said that God’s left-hand kingdom is established and ordered by God; but it is ruled by power rather than by God’s grace. The law of God is only meant to guide or rule us as “a lamp unto our feet and a light unto our path”. Without all our human laws and rules, it may seem impossible to live godly and do good works all the time. But the truth is that it is impossible even with all our laws and rules. However, we are blessed that it is God who lives in us who enables us to live in righteousness. If it were not for the grace of God and the Holy Spirit of God, we would never be able to do this on our own strength. The Holy Spirit has made us holy by bringing us to faith in Jesus Christ, redeemed us, forgiven us, and enabled us to lead godly and righteous lives. Allow Holy Spirit to lead us into his righteousness rather than into human righteousness. The power of the gospel is enough to justify us and sanctify us. God’s Holy Spirit then lives in us to give us new life, transform our lives, energize us, enlighten our understanding, and strengthen our spiritual lives. Then we may be able to live godly Christian lives.